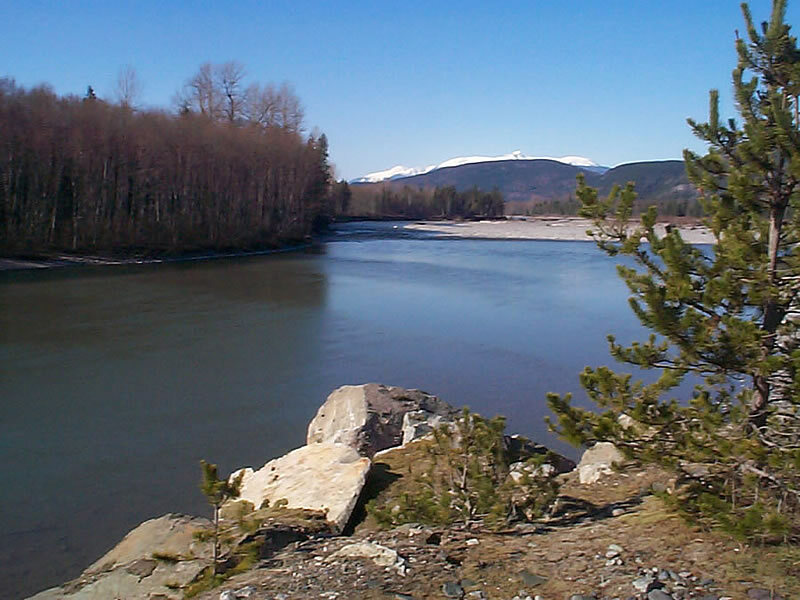 This photo was taken walking along the shore downstream from the highway bridge, on March 24, 2005 at 9:14 AM. Despite the devastation 16 kilometers (10 miles) upstream by the 2002 landslide, the lower Copper River is as beautiful as ever. Also, you will notice that in 2005 there was very little snow cover remaining in March, in the Skeena and Coppper River Valleys, despite our latitude (54° 30´ north) in Canada. The glorious spring experienced here comes as a surprise to many and is a fairly well kept secret! Photo © Elaine Fleischmann.